The origins of panettone go back to Roman times, but it was the bakers of Milan in the early 20th century who made the cake their own. The name is believed to derive from the word panetto, meaning ‘small loaf’, with the ending –one added, changing the meaning to ‘large loaf’. However, certain anecdotes suggest that, slightly more interestingly, it is derived from the Milanese pan del ton (luxury bread). The large, ‘dome’-shaped, yeasted fruit cake traditionally rises slowly over a few days and is baked in a tubular mould to give it its distinctive height. 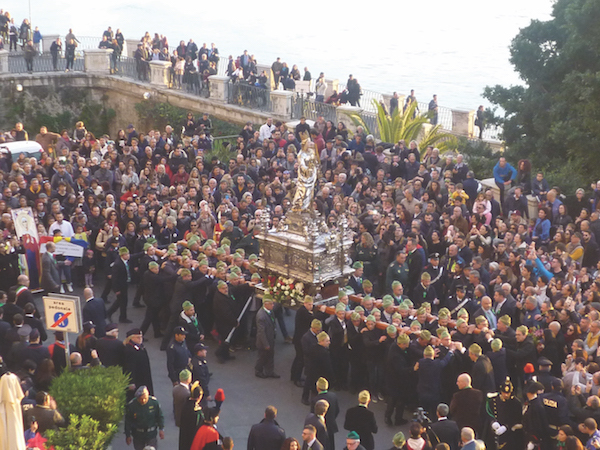 It is usually eaten at Christmas – or Easter, when, in a slightly different shape (as the Dove of Peace), it is known as a colomba. A regular panettone with dried fruits is delicious, but fancier ingredients can include extras like chocolate chips, almonds, figs and cherries, liqueurs and cream. Panettone is delicious at the end of the meal with sweet dessert wine, toasted with butter or even turned into bread and butter pudding. With its hand-tied ribbon and vivid box, this Nicola Colavolpe panettone has a real artisanal feel from the moment you put it on the table. Made in Calabria by this family-run artisan bakery, just one batch is handmade over two days in October. Left to rise naturally with a sourdough starter, the resulting crumb is as light as a feather. 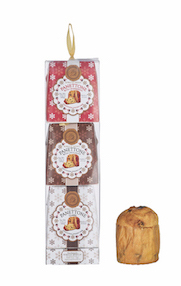 The company does make a regular panettone as well, but this one was created as a fusion of the baking traditions of the north while adding a more typical taste of the south to the sweet mix. 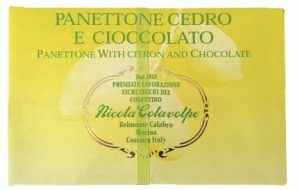 Unusually, it omits dried fruits, with all the flavour coming from zesty candied cedro – a lesser-known citrus fruit known for its deliciously tangy peel – and chunks of dark chocolate. Extra flavour notes come from the hazelnut glaze on top. Verdict: Each buttery slice has an irresistible harmony of flavours, making this a tangy festive treat that won’t last long over the Christmas period – as it is just so moreish. Of course no Italian Christmas should be without a panettone, and this gluten-free option means that everyone can enjoy feasting around the table, even those who have a gluten intolerance. Moist yellow crumb, not too sweet and full of the fruity flavour you’d expect. Verdict: This fruity panettone is crammed with candied peel to add texture and bite – a delicious gluten-free option. Rich and buttery, with the delicious addition of chocolate chips – and plenty of them! A rich and slightly denser texture, there aren’t any dried fruits and candied peel either, which, we have to say were not missed! Verdict: An indulgent alternative to the traditional panettone, try this chocolate option with a post-prandial espresso macchiato. 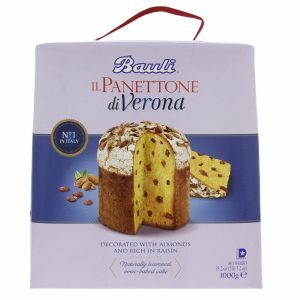 Bauli is a favourite panettone brand in Italy, with its recognisable purple box, and this sweet treat is light and pleasantly spiced, with a non-cloying texture and a good scattering of soft raisins, but no candied peel in the mix. 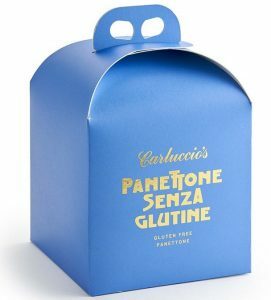 Verdict: This popular Italian brand delivers the classic flavours of panettone, with a soft texture and almonds on the top. 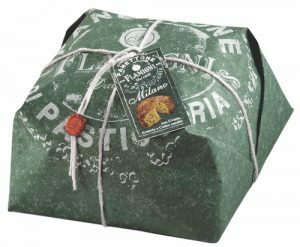 Made in Milan, the cradle of panettone makers, this one comes beautifully wrapped. The creamy coloured crumb is infused with vanilla –light and fluffy to eat with a generous scattering of sultanas and candied peel. Verdict: An authentically slow-risen panettone – make this your alternative to a traditional Christmas pudding this year. Dolce & Gabbana aside (if we may), this is from one of Sicily’s leading bakers. Studded with generous chunks of lemon, orange and mandarin peel, saffron adds an exotic finish. 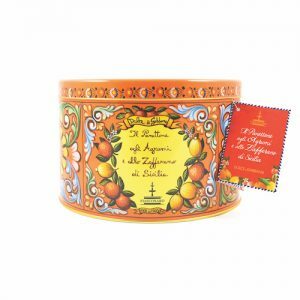 Verdict: Here’s your chance to own a genuine Dolce & Gabbana – once the panettone has gone, the colourful tin will continue to delight. 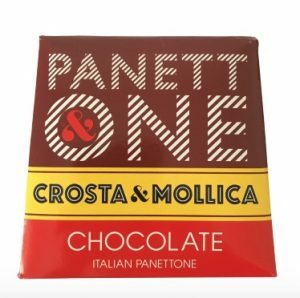 Hand-crafted in Tuscany by Borgo de’ Medici, these tiny panettoni come in three flavours: traditional, cranberry and chocolate chip. The crumb is soft and the flavours delicate. Verdict: These cute handmade panettoni would be perfect as festive presents, or even Christmas table gifts when the family come round.